African Americans are 20 percent more likely to experience serious mental health problems than non-Hispanic whites. African Americans consistently receive lower-quality and culturally incompetent mental health care, and frequently turn to spiritual advisors and circles to fill the gap. 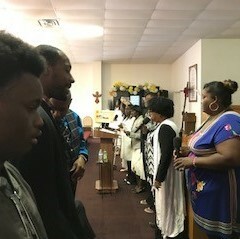 God’s Way Christian Baptist Church is one of 11 faith-based organizations funded through the Hogg Foundation’s Faith-Based Initiative for African American Mental Heath Education, which aims to build on the unique strengths of churches and faith-based organizations in African American communities to educate about mental health. God’s Way’s Wellness and Empowerment Community Ministries provides a welcoming and inclusive space for congregants to engage in dialogue around mental health, and has created a positive ripple effect, enhancing overall community well-being. For more than 12 years, Eugenia Kleinpeter endured an uphill climb as she attempted to locate mental health services for her children. It’s a struggle African Americans living in rural Texas know all too well. Even though the proportion of African Americans living with mental health conditions is comparable with that of the general population, the National Alliance on Mental Illness reports that African Americans consistently receive lower-quality and culturally incompetent mental health care. This contributes to the greater severity of mental health issues among African Americans compared to non-Hispanic whites. Often, in lieu of clinical sources of aid, African Americans turn to spiritual advisors and circles instead. 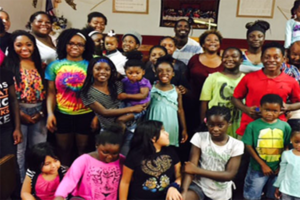 At God’s Way Christian Baptist Church, however, Eugenia and her son found both. Led by Reverend Dr. B.R. Reese, God’s Way is one of 11 faith-based organizations that received funding through the Hogg Foundation’s Faith-Based Initiative for African American Mental Heath Education, which aims to build on the unique strengths of churches and faith-based organizations in African American communities to increase awareness about and change perceptions of mental health, recovery and wellness, and to connect congregants with culturally competent behavioral health resources. Grantees have used the funds to start or strengthen dialogues about mental health—both within their respective places of worship and with providers in surrounding communities. Based in Taylor, Texas, the church and its pioneering Wellness and Empowerment Community Ministries (WECM) initiatives have created a culture of inclusivity and sensitivity that provides for the congregation’s spiritual and psychological needs. Though of modest size—the church convenes 50 to 100 attendees every Sunday—lessons learned and taught by God’s Way clergy have, thanks to evidence of success and word of mouth, traveled far and wide. Health fairs, conferences, vacation bible school programs, and other community awareness events are helmed by the leaders at God’s Way—whose passion for mental health education, like Eugenia’s, often stems from their own experiences of enlightenment. That sense of understanding is what WECM education efforts try to impart on participants. With the help of partnerships with Bluebonnet Trails Community Services, social service agencies, and other churches in Central Texas, Sonya organizes outreach events to share the critical mental health knowledge that is so beautifully helping God’s Way congregants with other community members and leaders. 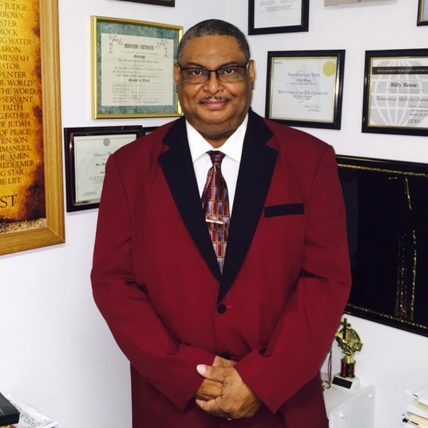 The accomplishments of Pastor Reese and his church—playing the various roles of healer, educator, connector and civic leader—have caught the attention of pastors in nearby locales and beyond, who often phone him about WECM. Pastors, churches and congregants come to this work with differences in personal experience and belief, so it’s to be expected that some might not adopt God’s Way’s WECM’s mission wholesale. But according to Sonya, absolute buy-in isn’t necessary when it comes to generating impact. “My faith was and is my most valuable resource,” Jameisha Brown says. “I learned to maintain hope, even when I was told there was none left.” Even though Hurricane Harvey made landfall in August 2017, the devastation left in its wake continues to affect many Texans.